Presented to a media coordinator, or team of media coordinators at one school, in recognition of outstanding performance in the school library media center. Nominees must be a member of NCSLMA and currently must be employed in a NorthCarolina public or private school. Nominations must be submitted by a member of NCSLMA, a teacher, or an administrator currently employed in NC. The award carries a $1000 merchandise certificate from Follett Library Resources, and a plaque, which will be presented at the 2019 NCSLMA Conference. Click here for nomination form. The application is saved as a Google Doc. You will need to make a copy in Google Drive or download a copy into Microsoft Word. Please save final copy as a pdf before submitting. 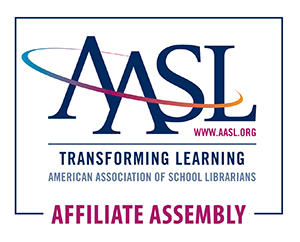 The award will be presented annually to recognize an individual or organization for contributions to NCSLMA and/or school library media programs throughout the state of North Carolina. A nominee should have made noteworthy contributions to the furthering of the role of the school library media coordinator and the school library media program in the state of North Carolina. Nominees do not have to be NCSLMA members. Nominations for this award must be submitted by NCSLMA members. A gift and plaque from NCSLMA which will be presented at the 2019 NCSLMA Conference. The recipient will also receive a lifetime membership to NCSLMA. The award will be presented annually to recognize an administrator* who has made an outstanding contribution(s) to advancing the role of the school library media program in the state of North Carolina. The award and a plaque will be presented at the 2019 NCSLMA Conference. *Eligible nominees: State, county, city school superintendents, building principals or assistant principals, district administrators such as assistant superintendents, directors of curriculum and instruction, etc. in either public or private schools are eligible to be nominated for this award. Media supervisors and/or directors would not be eligible for this award. Nominees do not have to be NCSLMA members. Nominations for this award must be submitted by NCSLMA members.